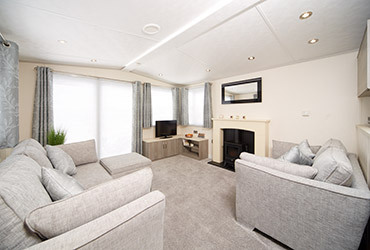 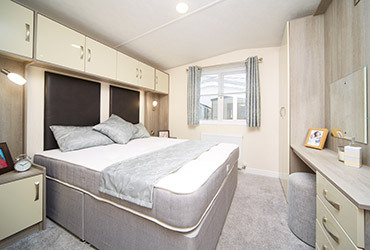 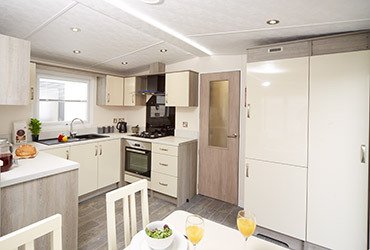 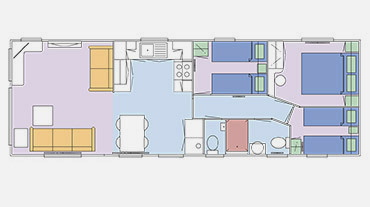 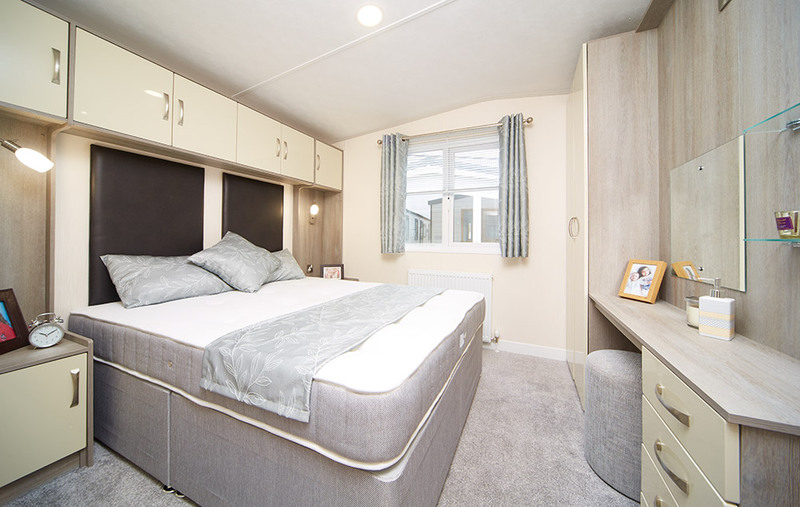 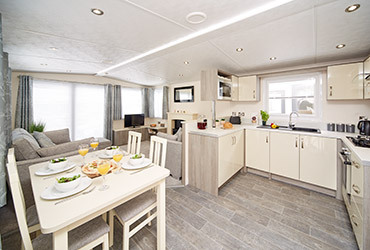 New for 2019, the innovative and luxurious Scenic sets itself apart from other leisure homes by its number of superb design features, like the optional sliding front door windows and spacious walk-in wardrobe. 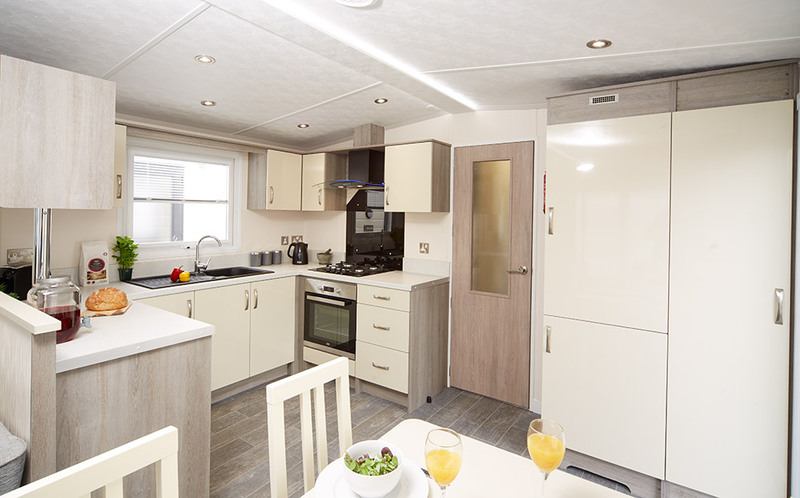 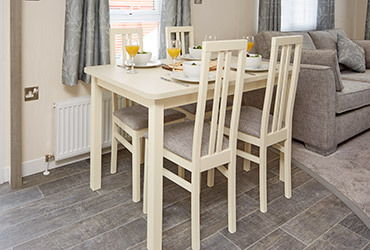 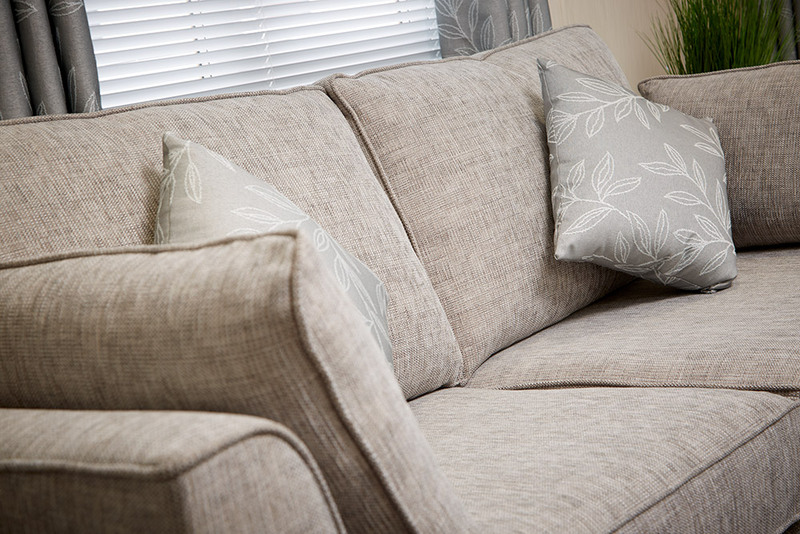 With quality kitchen features like the integrated fridge and microwave, and sumptuously appointed bedrooms with upholstered headboards, our brand new Scenic model is a fantastic addition to the Arronbrook model range. 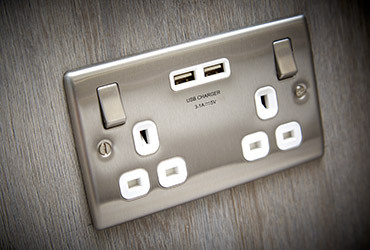 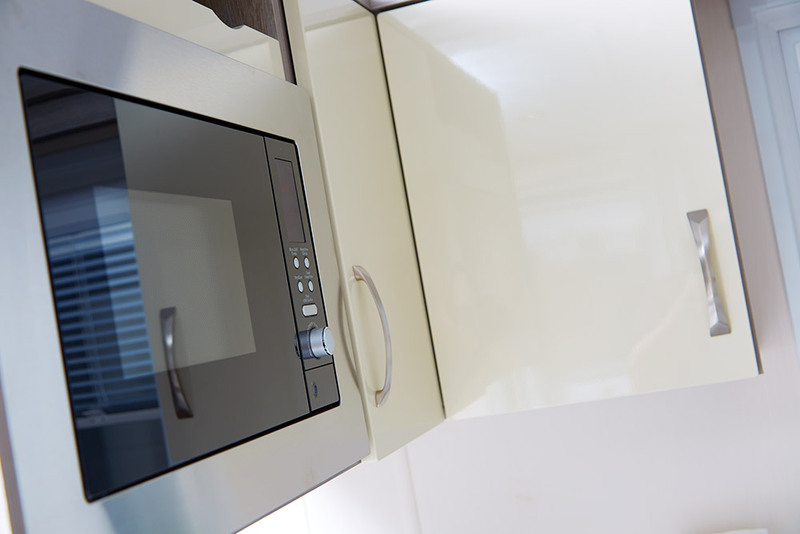 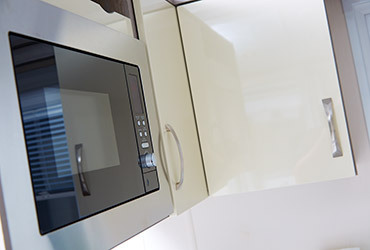 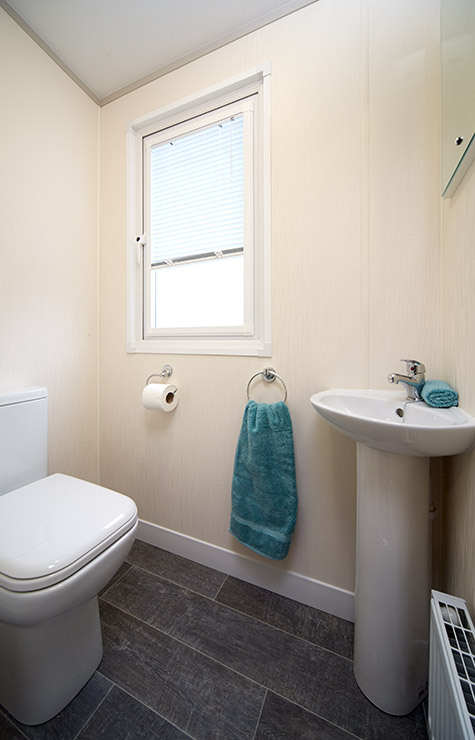 Included as standard is double glazing, uPVC exterior cladding, quality bathroom fixtures and designer kitchen appliances. 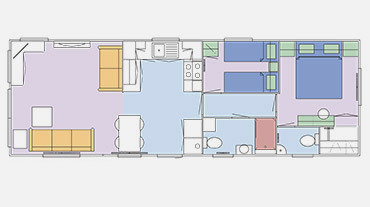 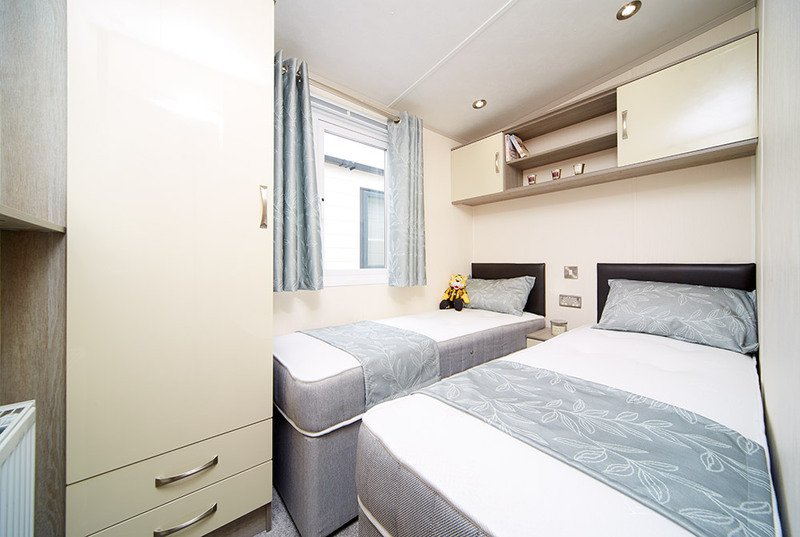 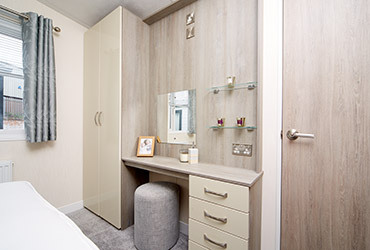 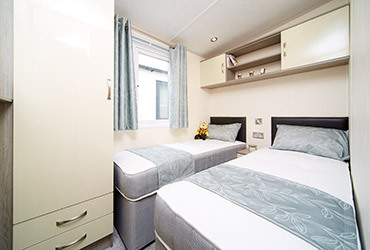 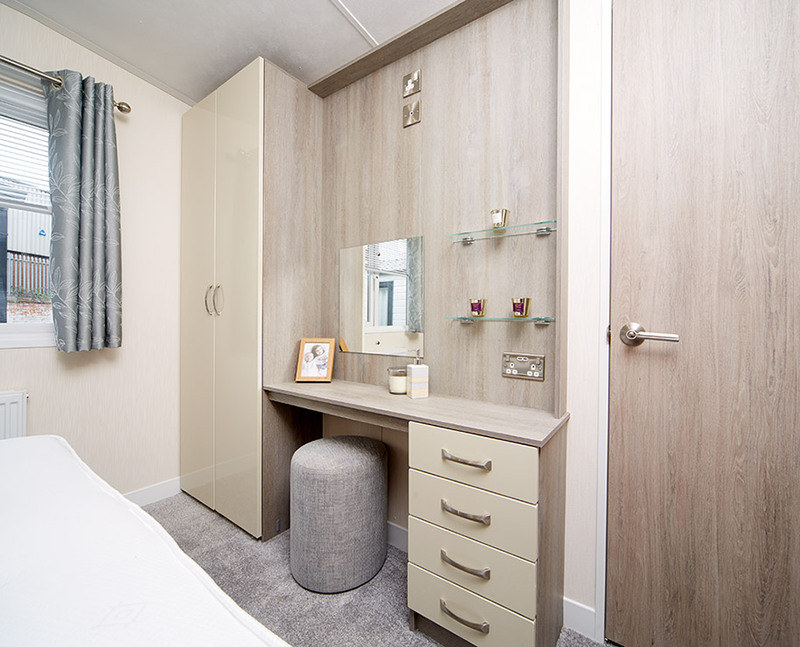 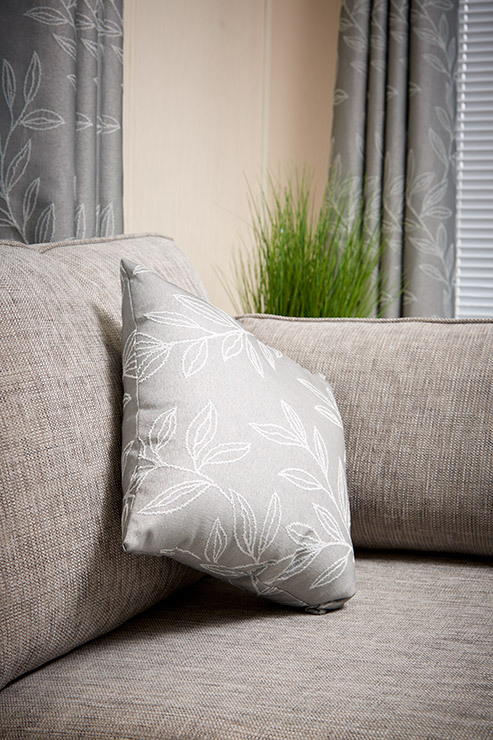 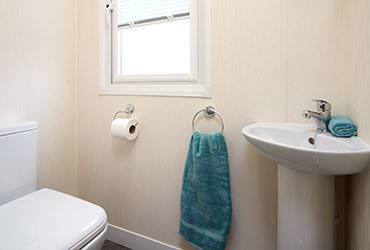 The 2 bedroom Scenic also benefits from having an en-suite toilet for the main bedroom. 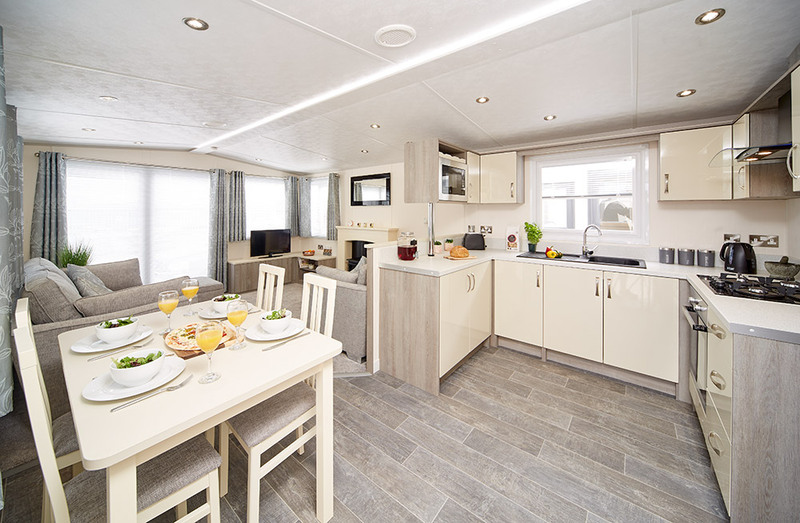 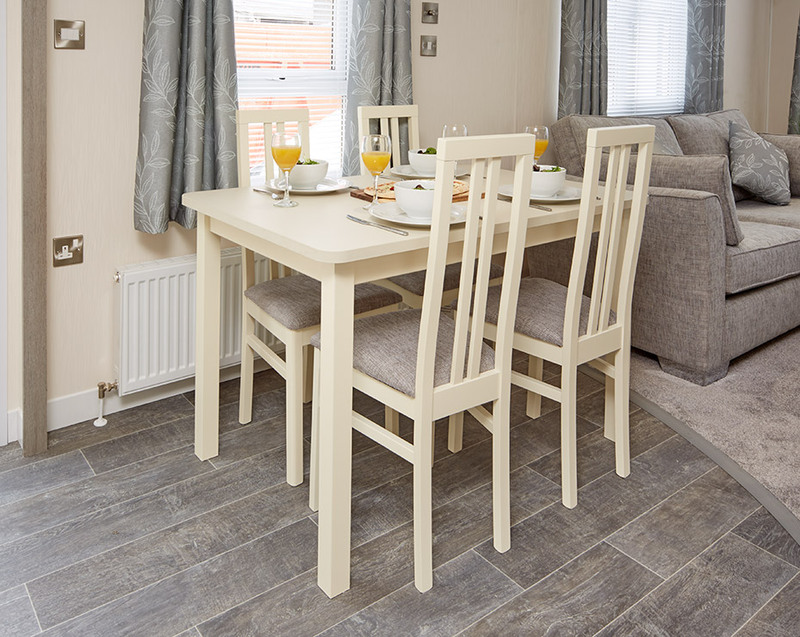 The generous amount of room on offer in the 12’ 6” wide Scenic is a big plus too which helps create a relaxing environment which you’ll want to enjoy time and time again. 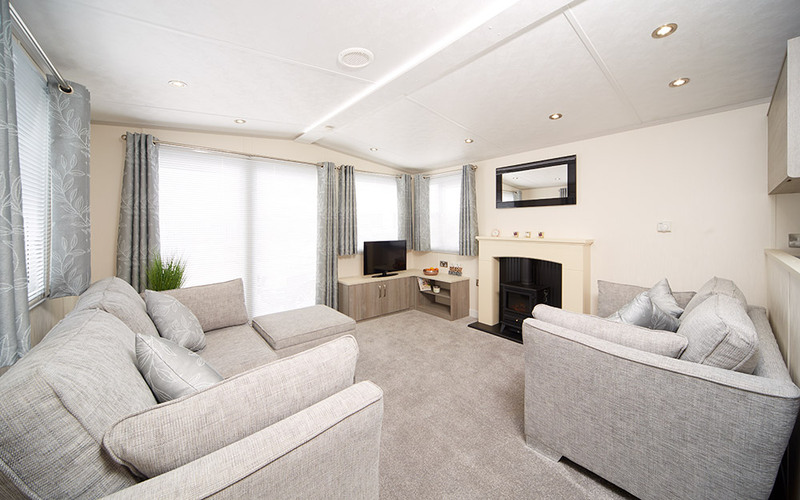 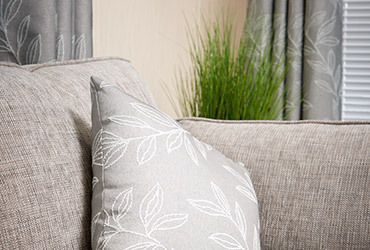 We are very sure you’ll agree that our new Scenic, with its open plan living space, boasting contemporary furniture in rich tones and lavish curtain and upholstery fabrics is a leisure home that provides a luxury escape. 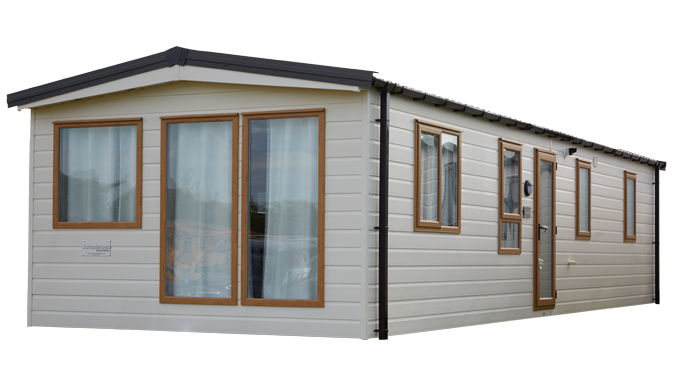 Model shown is in cream PVC cladding and optional Golden Oak windows and doors, 38’ x 12’6, 2 bedroom.